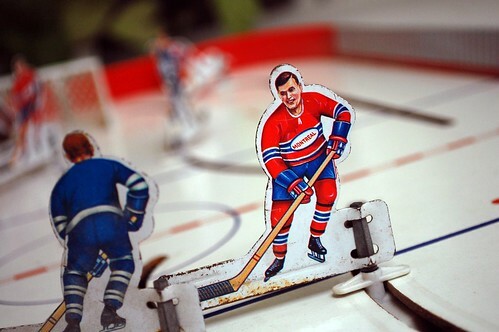 March 1, 2010 of 365 : andrew’s vintage jean beliveau hockey game. This photo seemed quite appropriate the day after Canada won gold in hockey (again) at the Olympics. Les Canadiens sont la! Awesome!